Photos: Above: Chano and Las Canteras beach today. Below: Canvas boats on the Arrecife beach. 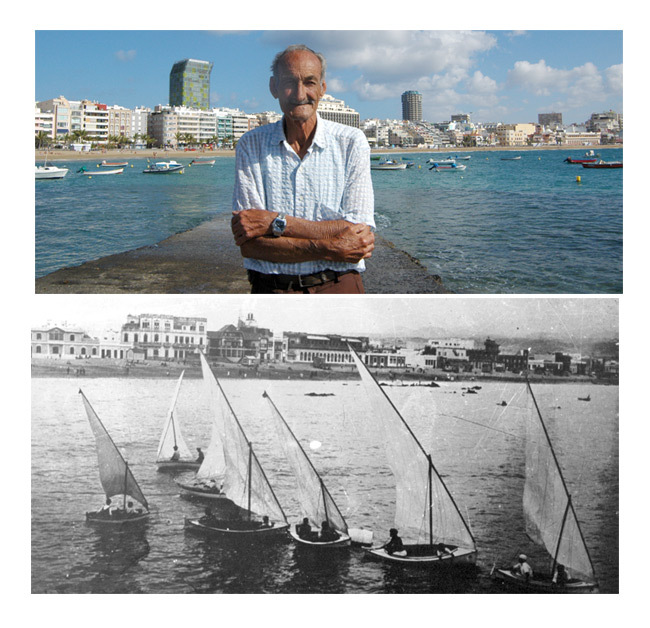 Chano Ceballos (helm of the Latina sailing boat El Porteño) was born on the 29th of May 1922, at half past six in the morning, at number 38 of today’s Calle Sagasta, in the middle of a storm with the sea raging all around him. On this rough, stormy night, the swell of the ocean covered the isthmus from one side to the other, from the Arrecife beach to the beautiful beach of San Rafael which has long since disappeared. With this salty entrance to the world, it was impossible for Chano to dedicate his life to anything other than the sea, boats, fishermen and sailors. He spent his childhood fishing and playing ‘captains and pirates’ between the San Rafael and Arrecife beaches. He always loved the San Rafael beach the best. His curiosity and his desire to learn about marine life brought him into contact with this beach, on which men and boats shared sand and rocks. “I spent most of my youth there and became a carpenter”. 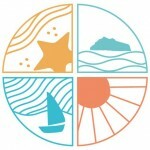 He tells us that he had a very happy childhood amongst the boats, fishing on San Rafael beach (“It was well known for clams, shells and octopus”) or sailing with his brothers and friends in the canvas boats kept on the Arrecife beach. As he talks about his youth spent between the two beaches, he smiles at the memories of those childhood adventures with his friends. Remarkably, he can recall anecdotes and images of life around the beach as if it were yesterday, even though they are from more than 70 years ago. He narrates in vivid detail the arrival of the first English tourists in the city. They populated the beach where he used to play, sunbathed on the deck-chairs of the Towers Hotel (the current Marine building, formerly the Spanish Navy Headquarters). And he tells how his friends (“I never joined in anything like that”) used to hide under the wooden platform on which the restaurant ‘Caseta de Galán’ stood, in order to peek through the gaps in the planks and watch the tourists changing their clothes. On one of these scallywag days, his friend Cristóbal was shot in the side by a German, but miraculously, he survived. In those days, childish curiosity could be risky! Chano Ceballos witnessed the end of the ship the Sensat (see the Archive), and even took part in its ship-breaking. One morning, in the middle of a heavy storm, he saw how the ship broke free of its moorings and ran aground. It remained there on the shore for a few weeks, until it could be re-floated. But the fate of the “Sensat” was sealed and even though it was anchored in the bay a second time, the new chains did not hold and the ship came loose again. After this second stranding, the decision was taken to scrap the ship. And there he was, our young Chano; half man, half carpenter, helping to remove it from the beach forever. 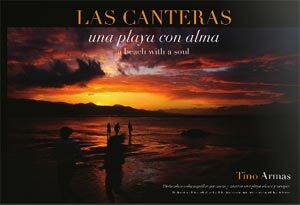 The Sensat´s disappearance marked the end of an era for Las Canteras, formerly known as the beach of Arrecife. Chano is the son of Juan Ceballos, boatswain of the great sailing ship the Gavia and the brother of Juan Ceballos, ‘El comandante’ possibly the best helm in the history of Latina sailing, and Tonillo and Cristóbal Ceballos, all of whom are no longer with us. These four brothers belonged to one of the most oustanding eras of Latina sailing. But we will leave the stories of Chano and boats and Latina sailing for the second part of this story.